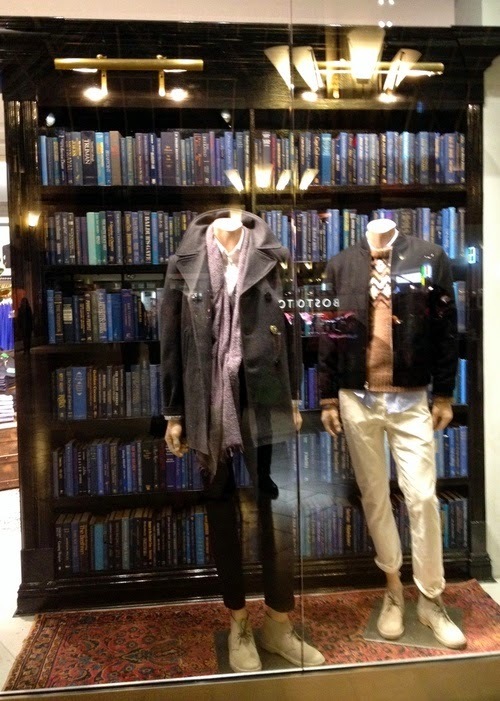 While cutting through the Copley Mall/Prudential Center last week, I snapped this picture of the Club Monaco windows. I find the shades of blue on the bookshelves and the rug so pretty! It would be a great masculine library/office/study. Add a little pop of pink and you have the perfect compromise.